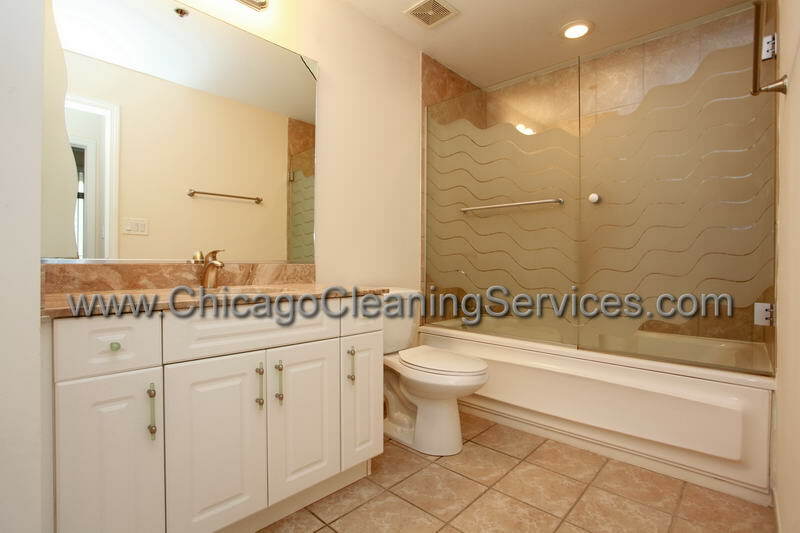 Bathroom Cleaning Chicago: The bathroom is the most important part of a house, but nobody likes to clean it. It looks like it’s the hardest of all house chores, even harder than cleaning the inside of the refrigerator. 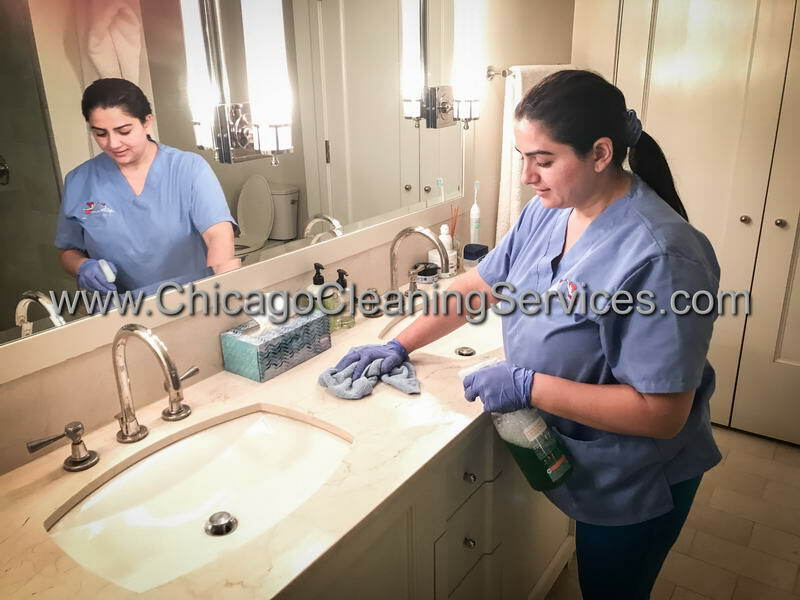 Cleaning of the bathroom should be done every week if one or two persons only use it, but it definitely needs cleaning more often if you have a big family that is using it every day. 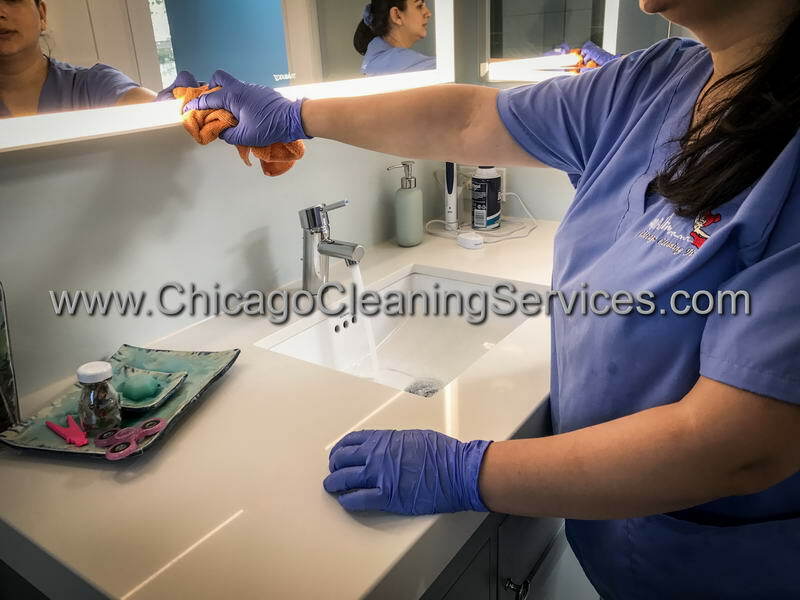 Even if the tiles and the porcelain surfaces are kind of easy to keep clean, if that cleaning is not done at least once a week, dust, soap, water stains, even toothpaste can build up on them and make the bathroom look dirtier than it really is. 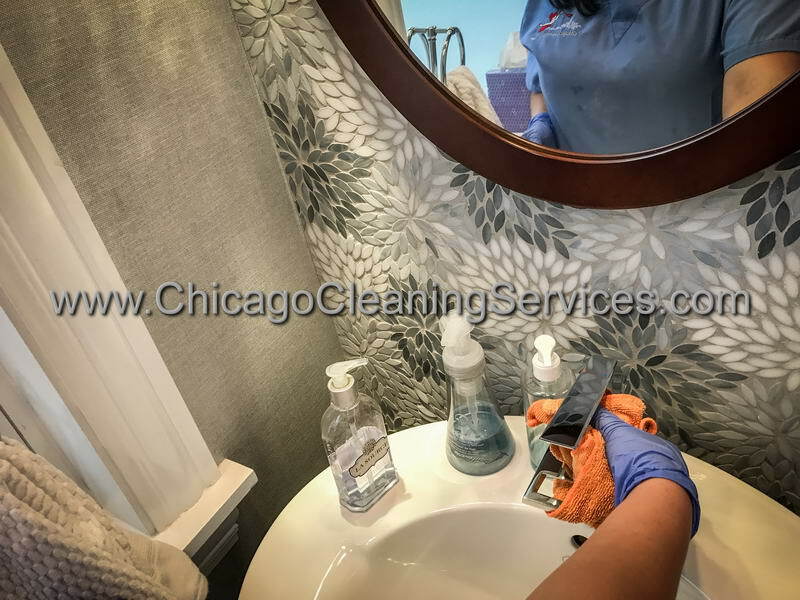 Cleaning is not a chore that someone is excited to complete and others simply don’t have enough time to properly clean everything. Either case, we are here to help you out. 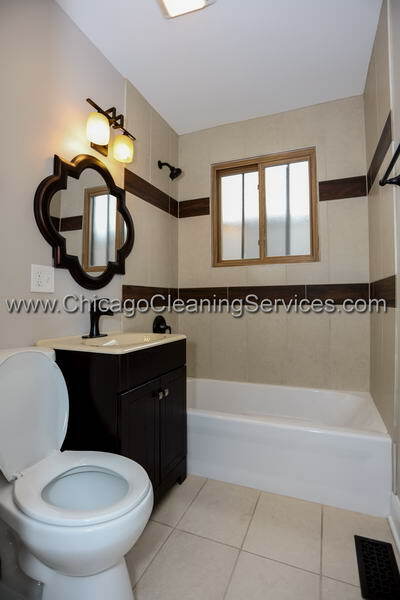 Chicago cleaning services offers specialized bathroom cleaning. 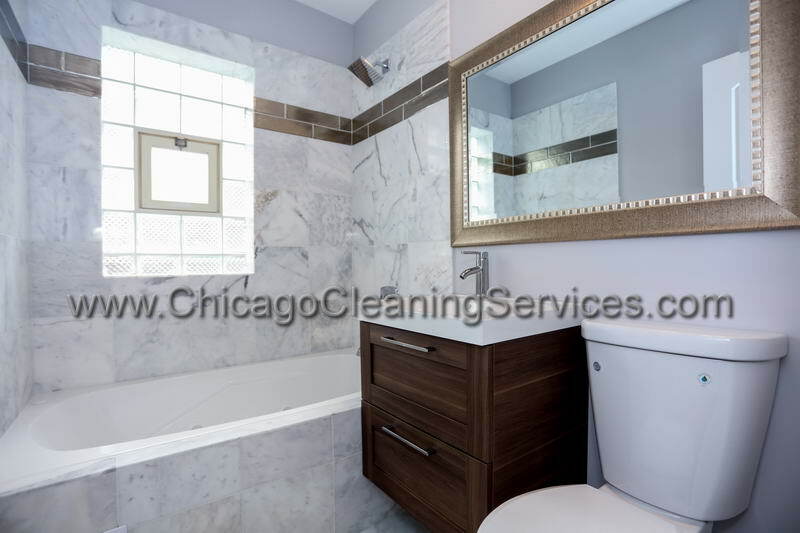 We wash and wipe the tiles to give them back the original shine, polish all faucets, clean your bathtub, scrub the sink and toilet bowl, clean all mirrors and fold all your towels. 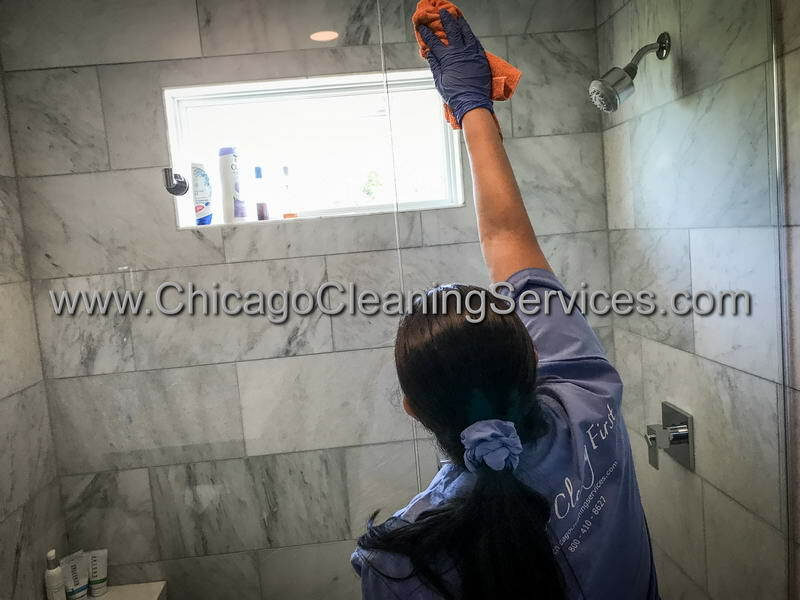 This can be a messy and time-consuming job but our staff is experienced in cleaning all the surfaces with proper cleaning supplies so you can take a relaxing bubble bath in a fresh cleaned bathtub, after a long day at the office. 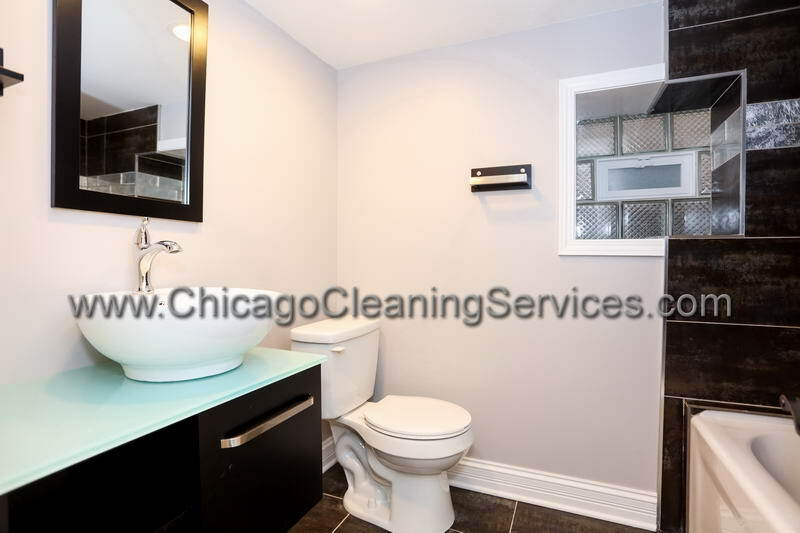 Let Chicago Cleaning Services do the cleaning for you and you will not be sorry that you’ve chosen us. 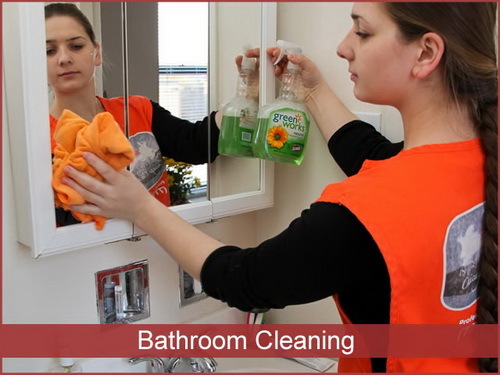 You bathroom will look like new, will smell fresh and everything will be spotless and disinfected. 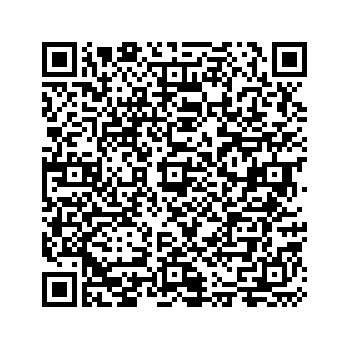 We have great staff, quality cleaning products and reasonable prices. 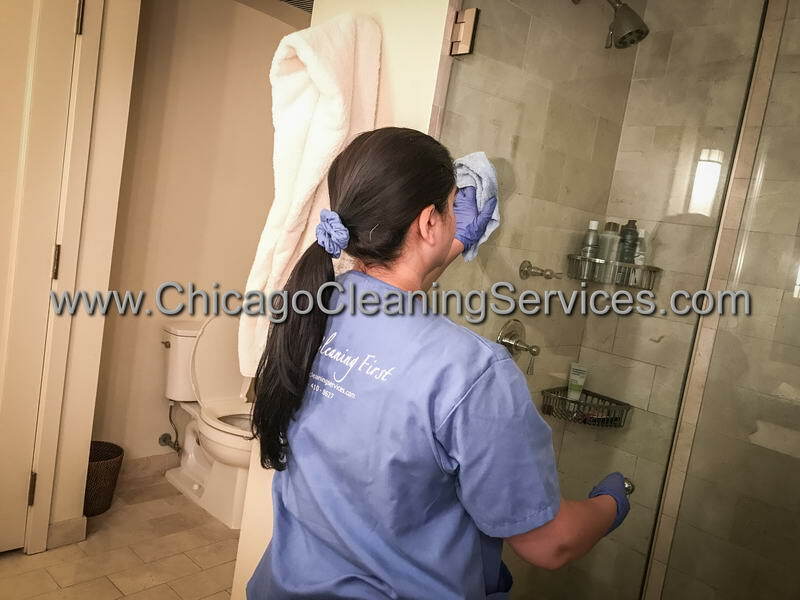 And above all, we do a great job so you will be more than happy to enjoy that relaxing bubble bath. 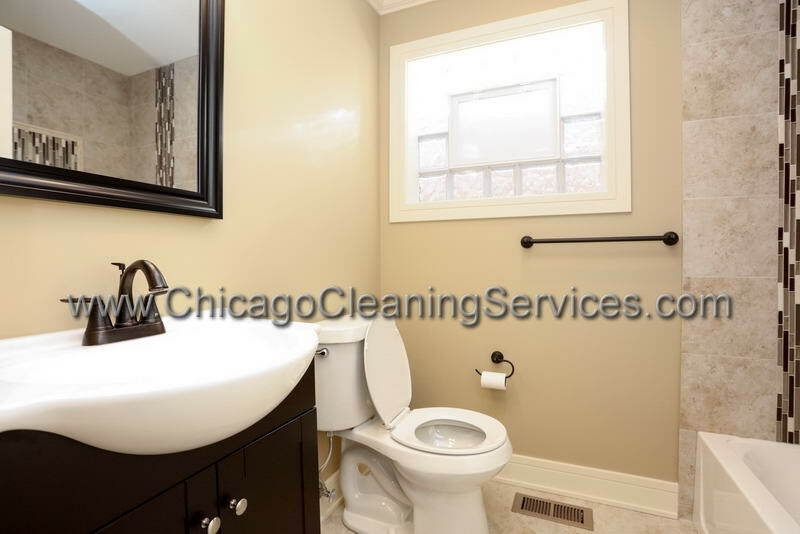 Dust air vents & baseboards. 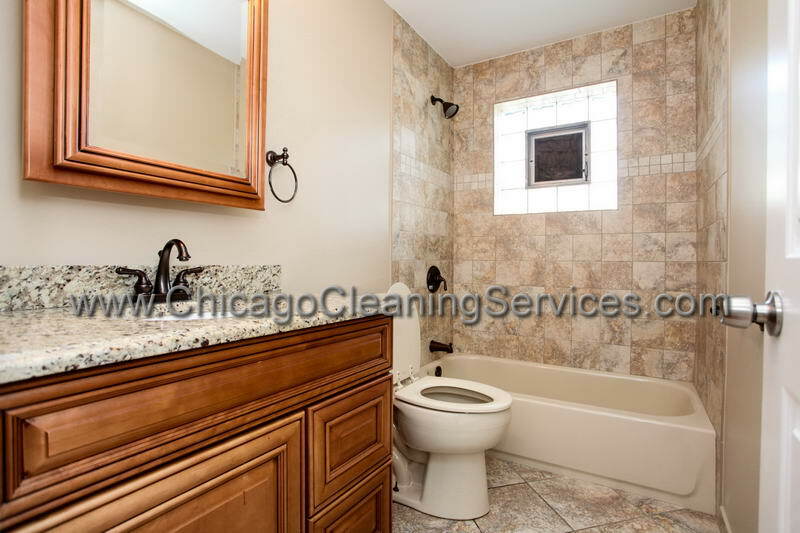 Remove lime,soap,mildew from tile grout & corners. 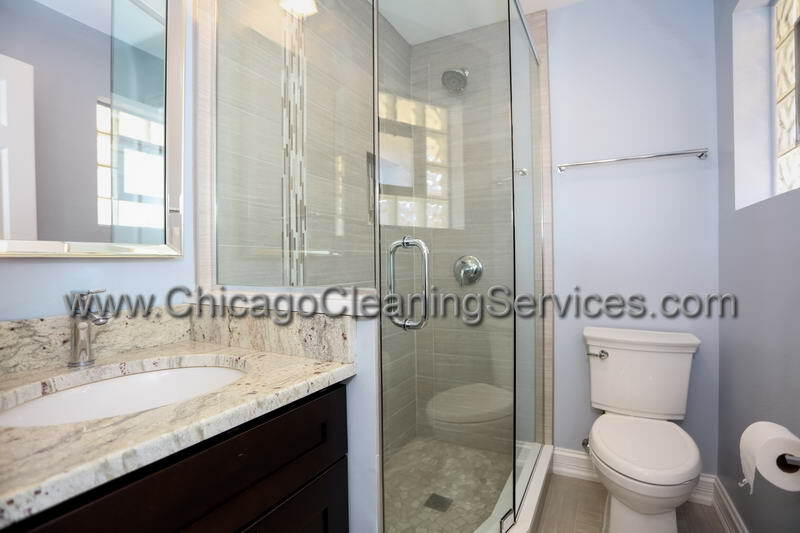 Clean glass shower doors inside & outside. Mirrors & chrome fixtures cleaned & shined. 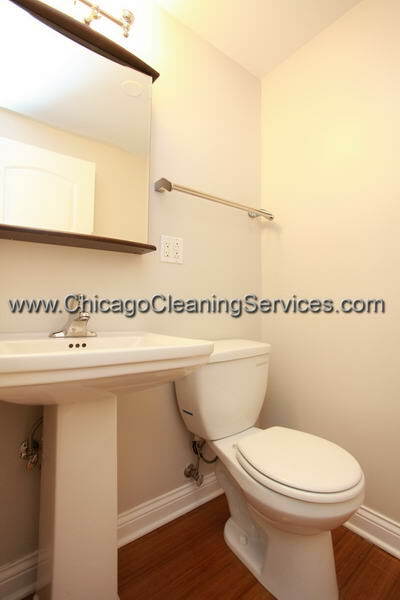 Scrub and disinfect toilet both inside & outside. Vacuum rugs & return when floor is dry. Empty trash & replace bag. 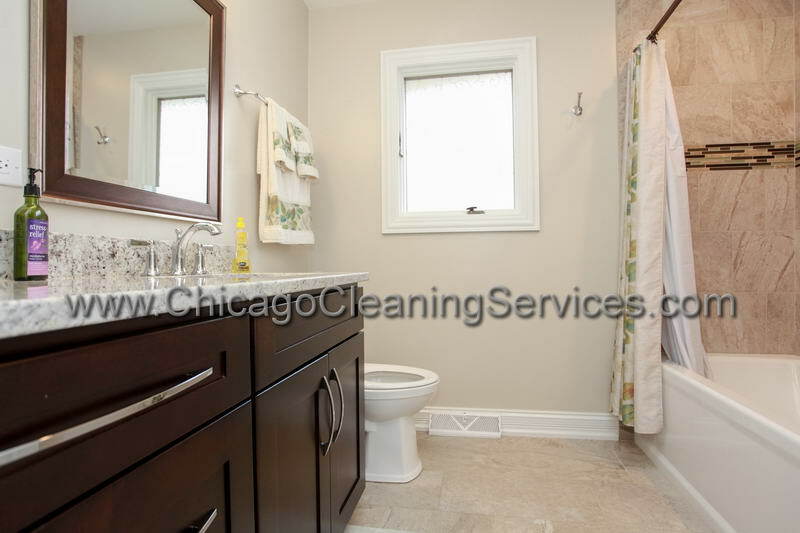 Clean tissue holder & towel racks. 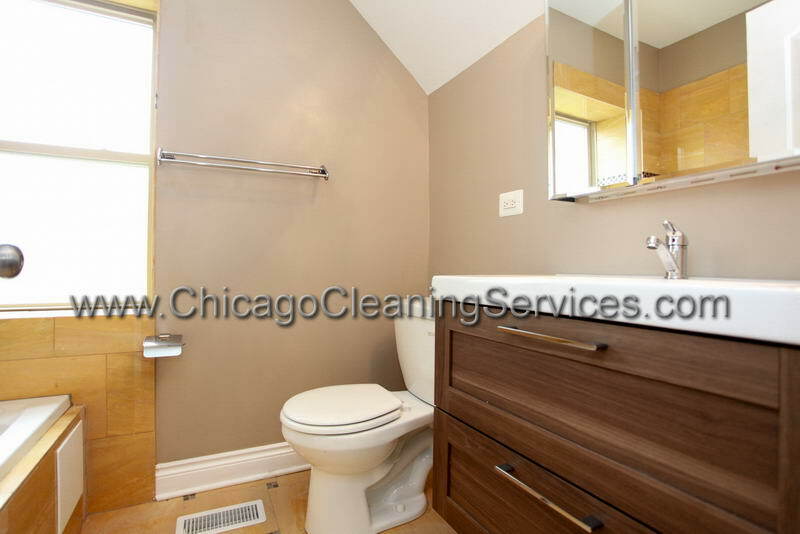 Vacuum & scrub/disinfect floor, including corners.